Weighty Matters: Does Playing the Nintendo Wii Really Burn Calories? 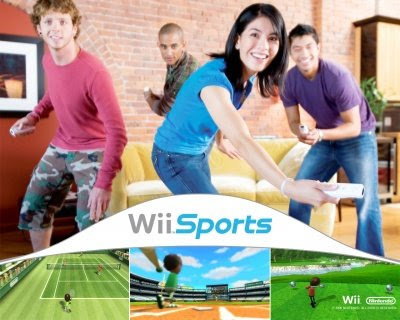 Does Playing the Nintendo Wii Really Burn Calories? Despite the hoopla surrounding the Nintendo Wii in a putative role in the fight against childhood obesity, the first published study looking at calorie expenditure during gameplay suggests it's far from a prize fighter. The study, published in the British Medical Journal (and sponsored by Nintendo) took 11 children aged 13-15 and compared their caloric expenditures playing Wii Sports vs. those playing a sedentary XBox 360 title. Per hour of Wii sports you can expect to burn an additional 60 Calories. To put this into perspective it would therefore take your child nearly 60 hours of playing the Wii to burn off a single pound worth of Calories. Bottom line - Wiis are for fun, not for weight loss. Oh, and the above's all assuming you are active when playing your Wii - something that the following video demonstrates is in fact not really necessary.